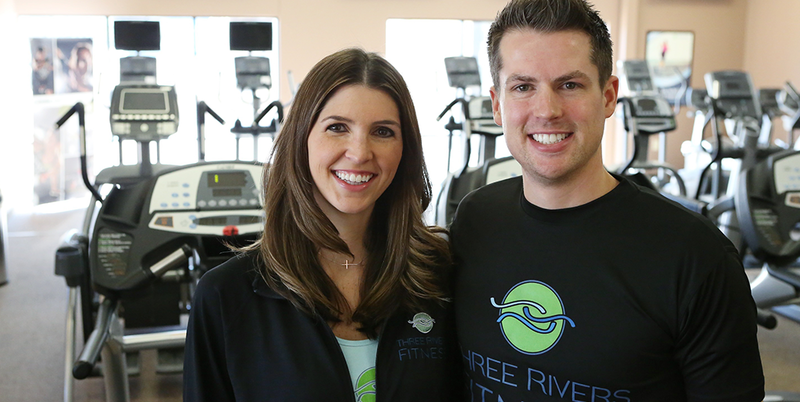 Get to know Three Rivers Fitness. Our goal is to provide members a friendly, affordable, fun place to workout. At Three Rivers Fitness our staff knows you by name and welcomes you with a friendly smile. As soon as you walk in you’ll feel the community spirit this place embodies. Learn more about us by asking any of our staff members. We pride ourselves on having a gym that is suitable for all ages and fitness levels. But sometimes you need that extra help to really achieve the fitness goals you have. Our fully-certified personal trainers will get you there! With years of experience and a strong passion for what they do, the team of trainers we have here at Three Rivers Fitness is second to none. Or maybe you are like many of our members who just love great group fitness classes. We offer a fun variety of classes for every age and workout level. From Spin to Zumba to Pump and Yoga – we have it all! In addition, we have a fully equipped pilates studio and a highly experienced trainer. Whether you try Pilates for a new workout technique or for rehabilitation, it will change your body for the better. We hope that you will come check out Three Rivers Fitness, and we look forward to helping you achieve your fitness goals! We at Three Rivers Fitness are passionate about fitness and passionate about YOU! Your experience here will be comfortable, motivating, and fun! Since Rachel and I started Three Rivers Fitness back in 2012 we have been overwhelmed by the positive response in the Otsego area. We have seen countless members achieve their fitness goals and live healthier lives by coming through our doors. Our philosophy of "No Contracts!" is powerful! Our members stay, not because they’ve been locked into a 12 or 18 month long contract, but because they love it here and want to stay. This philosophy makes it so we at Three Rivers Fitness are constantly proving ourselves and taking the best care of our members. Besides running a gym, Rachel and I enjoy spending time with friends and family. We’ve been married since the spring of 2012, and have a precious son, Danny, at home. We feel very blessed for all the great changes that God has brought our way! We are very active in the church that we met at. Nick enjoys playing all kinds of sports, and Rachel has a passion for photography. Rachel and I, along with our INCREDIBLE team of Front Desk Staff, Personal Trainers, and Class Instructors are here to help you achieve your fitness goals and assist you in living a happy, healthy life. We look forward to meeting you!